Commissioned abstraction of SF skyline for hospital waiting area. 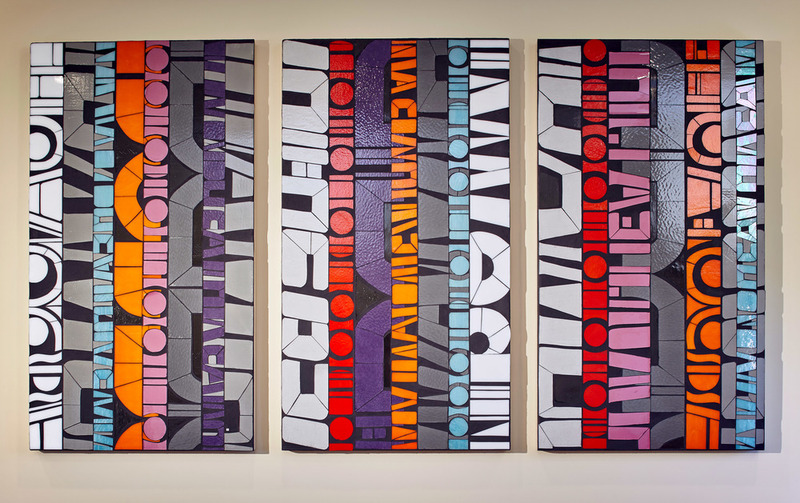 3@32"x58" | mixed media with glass | Beauty in abstract text forms. 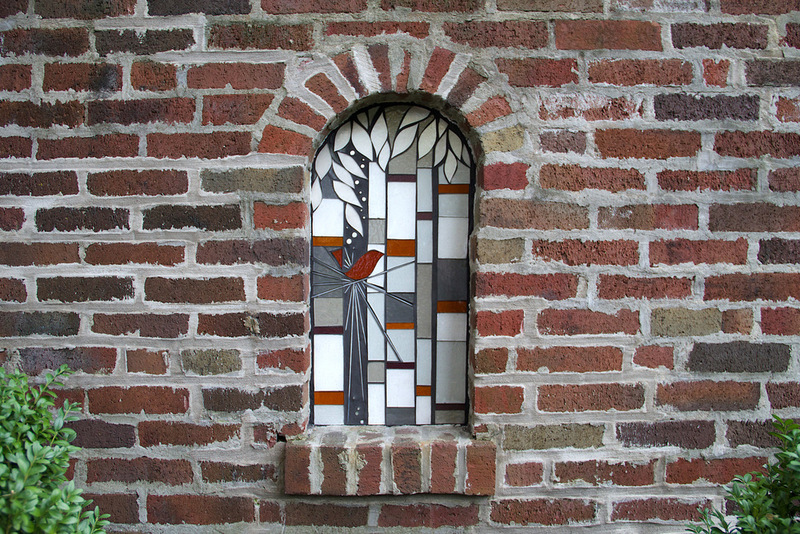 12"x24" | mixed media with glass | Permanent exterior installation creates a new view in the wall. 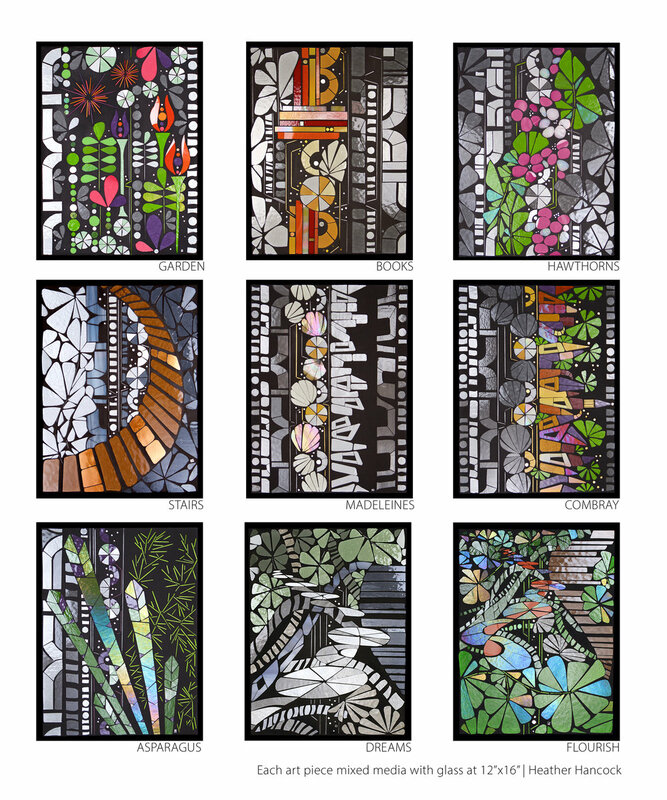 24"x36" | mixed media with glass | Built world meets natural world. 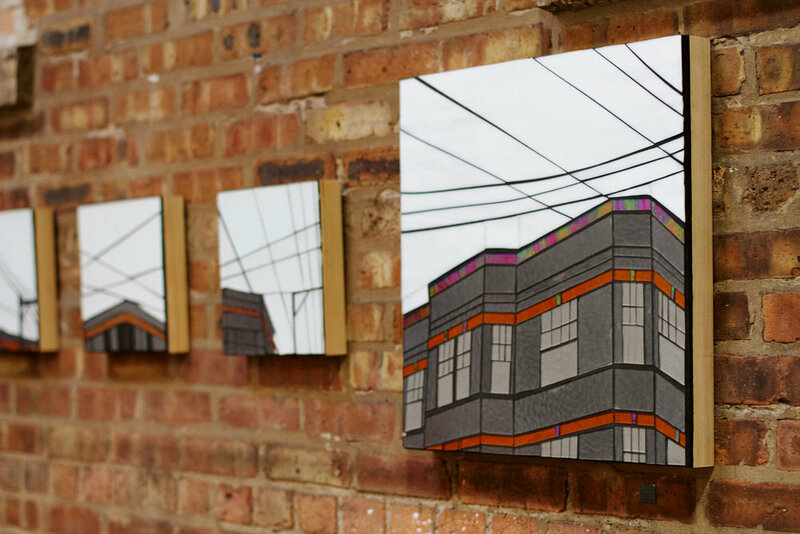 20"x20" | mixed media with glass | hanging at Artificial Turf pop-up gallery in Evanston | Seeing rhythm and variation in urbanscape. Commissioned for waiting area in San Diego area healthcare facility. 20" | mixed media with glass | Ice-skating inspired lines. Commissioned series connecting with themes and imagery from Marcel Proust's In Search of Lost Time. Images for Scratch and Sniff Proust by Dr. Virginia Barry, MD. Although he didn’t have neuroscience to illuminate why olfaction is emotionally evocative, Marcel Proust understood the power of scent to unleash long forgotten memories that form the foundation of our emotional lives. As the title of his great works tell us, In Search of Lost Time is concerned with these memories and the stamp they place on the experience of the present. 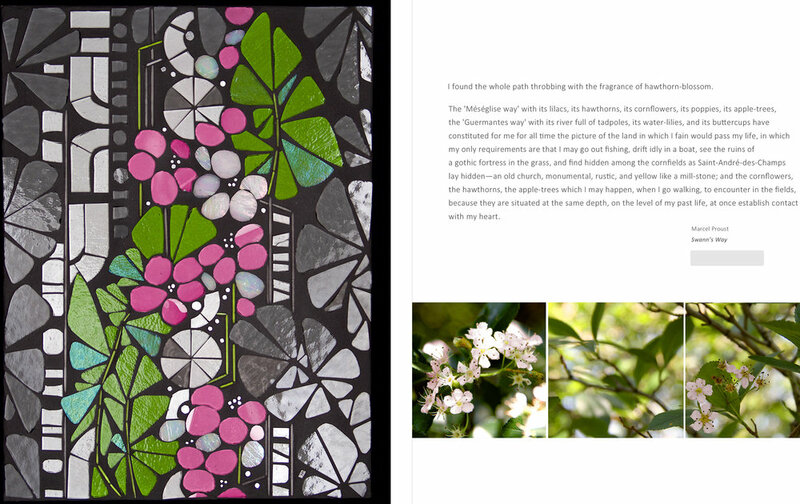 Heather’s art pieces offer visual interpretations for each section of the book forming another connection with Proust’s inner world.